And you thought gesticulating wildly had no constructive use. Picture the scene: a few years from now, your phone runs out of battery. Instead of scrambling for a charger, you clap your hands and watch it spring back into life. Sound far-fetched? It’s not, thanks to a new technology developed by researchers at Clemson’s Nanomaterials Institute (CNI). In March 2017, the team put together a seemingly rudimentary device made of plastic and tape, with the unique ability to generate electricity from movements. When the two materials are brought together — by clapping hands or tapping feet — they create a voltage. 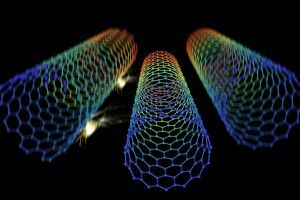 And because no one can stand cables, there’s now a wireless version known as the W-TENG, which is made of a combination of teflon and a multi-part fiber containing the ultra thin material graphene. The tile-like device has a maximum capacity of 3,000 volts. As it creates a voltage, it generates an electric field that transmits energy over a distance of up to 3 meters. It cannot only give you energy, but you can use the electric field also as an actuated remote. For example, you can tap the W-TENG and use its electric field as a ‘button’ to open your garage door, or you could activate a security system — all without a battery, passively and wirelessly. The team behind the W-TENG is already in talks with industrial partners to develop practical applications of the tech, and they want to make sure that when it hits the market, the magic tile is also environmentally friendly, so they are looking for an alternative to teflon. All being well, W-TENG could streamline our capacity to charge electronic devices, and one day help reduce the burden of energy poverty in the developing world too. According to CNI director Apparao Rao, its success is a matter of ensuring that the economics of the project are as bulletproof as its scientific basis.